Chris Matthews on Tuesday called "Rules for Radicals" author Saul Alinsky one of his heroes. This admission came only five days after the "Hardball" host proudly admitted on the air that he was a liberal. "I always try to remind myself of Saul Alinsky when I get confused," Matthews told "Hardball" guest Bernie Sanders (I-Vermont). 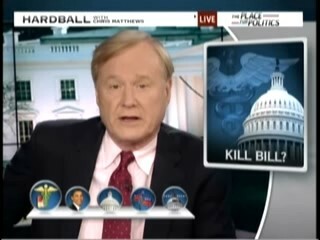 CHRIS MATTHEWS, HOST: Well, to reach back to one of our heroes from the past, from the `60s, Saul Alinsky once said that even though both sides have flaws in their arguments and you can always find something nuanced about your own side you don`t like and it`s never perfect, you have to act in the end like there`s simple black and white clarity between your side and the other side or you don`t get anything done. I always try to remind myself of Saul Alinsky when I get confused. So on Thursday, Matthews admitted being a liberal. Now he's admitting that Alinsky is one of his heroes.